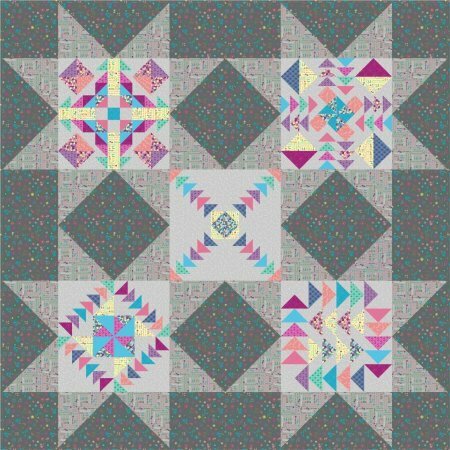 Dandy Days is another winner for Marcus Brothers fabrics and designer Sarah J. This kit includes all of the patterns needed and fabric for top and binding. We will be doing the dark background fabric. Finished quilt is 97" square. AVAILABLE AS A FULL KIT ONLY.